After 18 months of silence, I feel that I owe you an explanation. Without a doubt, these past several months have summed up to be the hardest time of my life, but I now feel ready to open up. On January 12 2011, after undergoing a biopsy on a swollen lymph node, my mom was diagnosed with cancer. Not many details were provided by the doctors, as they did not know the primary origin. We hoped for the best, whatever that means when dealing with cancer. The following week, on the eve of my 30th birthday, we found out it was stage 4 generalized cancer. A death sentence. Chemotherapy would prolong her life, at best, but recovery was improbable. The news shook our family to the core. How was this possible? My parents led an active and healthy lifestyle, ate organic foods whenever possible, had a natural garden they tended to without pesticides. My mom made her own ointments and herbal tinctures from the medicinal plants she grew in the garden. In all respects, my parents were vanguardists when it came to natural health. So why my mom? The three months that followed went by very quickly. We saw her condition degenerate on a daily basis, and witnessed her unbearable suffering. Cancer is ugly and merciless. We assisted her through this battle as best as we could, trying to reciprocate the way she had so gracefully supported us through life. In the morning of April 25 2011, she passed away. Loving mother of four, grandmother of five, devoted wife, friend, confidante. Her departure left me deeply saddened and lost. It made me question my beliefs and led me to life-altering decisions. So here I am, after 18 months of silence. I am still learning to live with this loss. Please bear with me as I slowly re-emerge. P.S. Medically assisted dying remains illegal in Canada. For more information on this important debate, I invite you to visit Dying with Dignity, a Canadian charity whose mission is to improve individual’s quality of dying and expand end-of-life choices. My heart goes out to you. I lost my mother to breast cancer almost 4 years ago and my father to renal failure 2 years ago. Wading through the grief is not easy, it takes time. Be gentle with yourself as you find your path through the dark times. thank you for sharing this. love this post. Something really profound happens to us when we lose our mothers. I'm sorry to hear of your mothers' final illness — it's such a sad and exhausting time for the patient and the family. 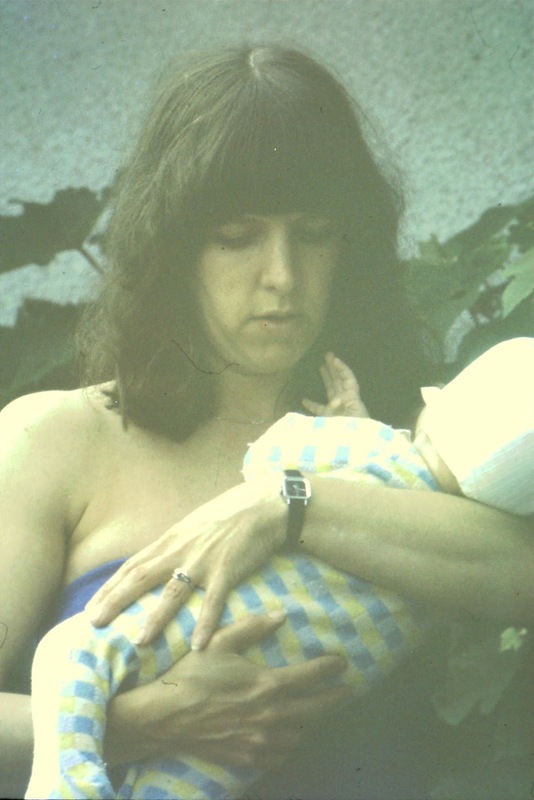 My mother died 18 years ago, but who's counting? She lives forever in my heart. Thank you for breathing new life into your incredible blog "Craving Greens." I just discovered your amazing recipes tonight. I'm so sorry for your loss, Marie-Eve. Your mother sounds like she was a remarkable woman.